The snow has thawed from the streets of Boston, and it is time to head outdoors and experience what this historic city has to offer. Whether it is walking in Paul Revere’s footsteps, sailing on the Harbor or spending a day at one of America’s most famous ballparks- Boston has a spring activity for everyone. Set out on Boston’s only three-hour long whale watch for a chance to see Humpback whales, Finback whales, Minke whales, and the endangered Right whales. Hop aboard a hi-speed catamaran and head over to the feeding grounds of Stellwegen Bank Marine Sanctuary- an area frequented by whales, dolphins and sea birds. Learn about the behaviors of whales as well as their conservation status from trained naturalists. Upon docking, stop by The Landing at Long Wharf, an outdoor bar that serves fishbowl drinks and various snacks. Baseball season has arrived! Fenway Park, home of the Green Monster and Pesky’s Pole, is a “must-visit” destination for any tourist- or local. A Red Sox game is the perfect spring outing for friends, families or for impressing a date. 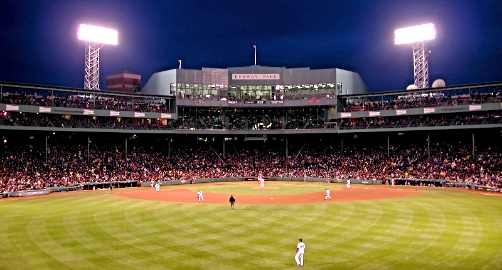 There’s more to Fenway Park than peanuts and crackerjacks. Constructed in 1912, Fenway is the oldest working ballpark in baseball’s history and was added to the National Register of Historic Places in 2012. In addition to games, year-round tours are offered daily where visitors can learn about Red Sox legends and traditions while exploring the inside of the ballpark. There’s no better time than spring to head to Yawkey Way. Grab a Fenway Frank, and a cold beer and cheer on the Boston Red Sox.